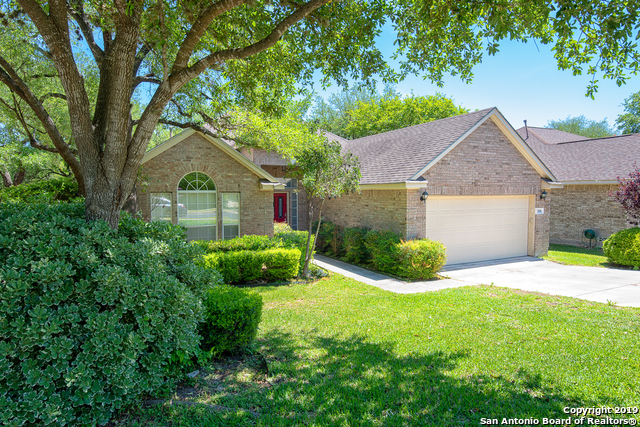 All THE RIDGE AT DEERFIE homes currently listed for sale in San Antonio as of 04/25/2019 are shown below. You can change the search criteria at any time by pressing the 'Change Search' button below. 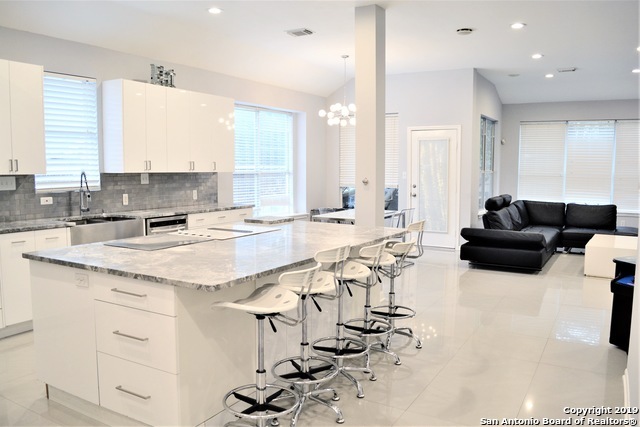 "Contemporary & spacious home in Gated and sought after Ridge at Deerfield. One story with bonus room up as optional GameRoom/4th brm plus Study office dwn. Entertainer's delight with huge island kitchen featuring rare teppanyaki grill, granite counter-tops, modern kitchen cabinets and open to Family Room and Breakfast area. Split Master with Master bath featuring Separate Vanities, Seamless Glass Shower and Separate Tub. Low Maintenance backyard with covered patio & deck. Located on a cul-de-sac"
"Beautiful 1-story home on quiet greenbelt lot. Located in desirable Ridge at Deerfield. This 3bed/2bath dream home has a great open concept that offers a large living area with cozy fireplace. Formal dining area that would be perfect for entertaining. Spacious master, separate vanities & walk-in closet. Woodlike Flooring & Tile throughout the house, freshly painted. Enjoy the beautiful private fenced in back yard with plenty of room to play under mature trees. Great location. Easy access to I10,"